Microsoft is working hard to connect the smartphone to the PC in Windows. 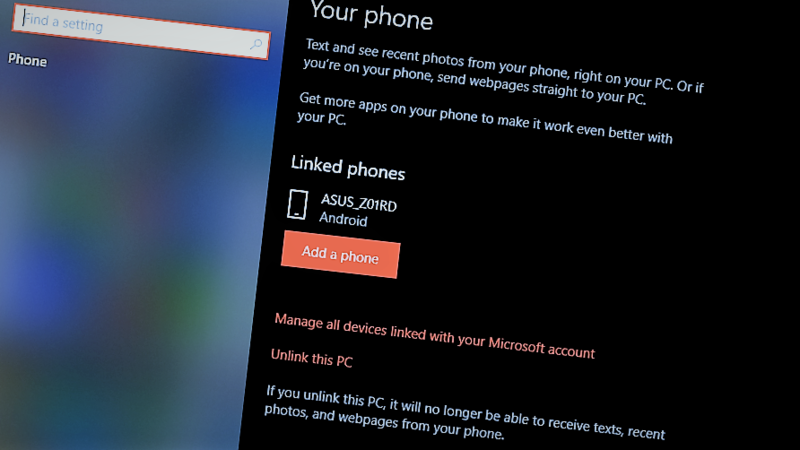 We saw that the “My Phone” option in the Settings app in early beta builds of Windows 10, but it didn’t do anything. A new advancement in that direction has been done, and it is rolling out for the Windows 10 users as an update. The new Phone app has been updated, and it synchronizes your smartphone’s text messages and photo gallery. The app also notifies you on the PC when you receive a new text message on your phone. It also lets you reply back to the text messages directly from the PC itself. 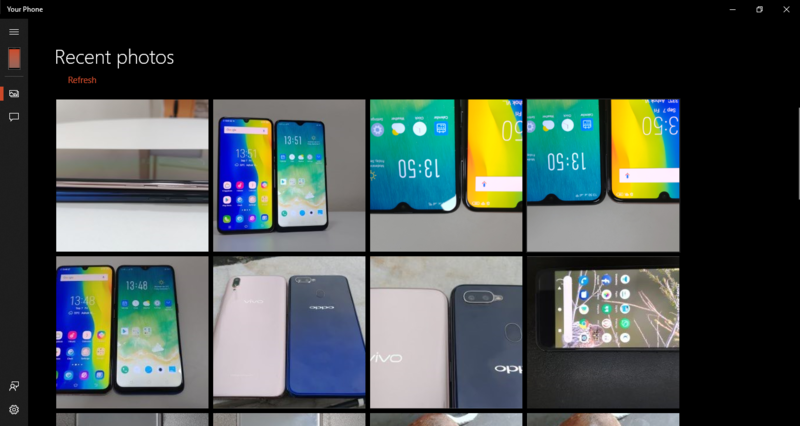 The “Pictures” tab will show you all the recent images from the camera folder of your smartphone, and you can Copy and Share the photos directly from there. Here we are showing the simple steps to connect and sync your smartphone to your Windows PC, all you need is your Windows 10 PC and Android smartphone. Download the Microsoft app on your Android smartphone. Log in to the app via your Microsoft account, the same account which you logged into your PC. Now, on your PC go to Settings > Phone then click “Link Phone” button in the app. Your phone will prompt you to allow permission for the Microsoft app. Once you allow the permissions, you will see the Phone app started syncing. Wait for the sync to finish and you will be able to see all your text messages listed on the app. There is a Photos tab where you will see recent pictures taken from the smartphone’s camera. There are some settings to customize the Phone app in PC as well as in the smartphone. 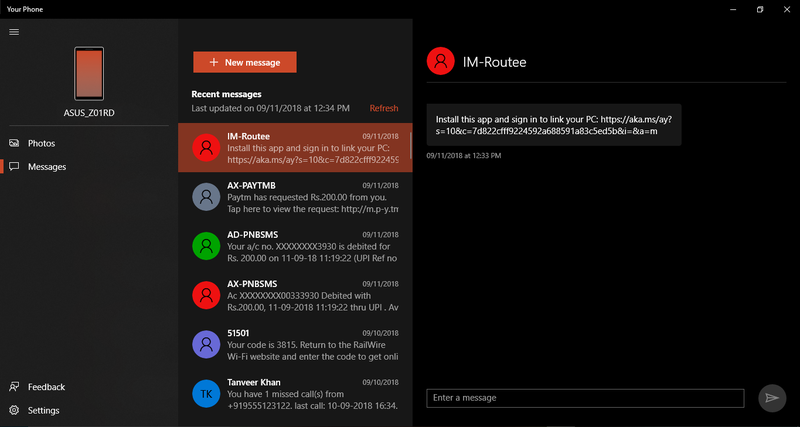 Now you can interact with the text messages by reading them directly on your PC or even replying back without touching your phone. You can also share your recently shot pictures from your phone on your PC without connecting your phone to your PC via data cable.